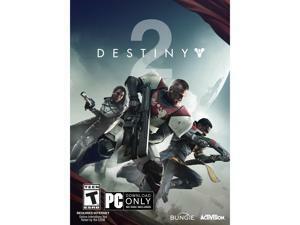 When Destiny was released back in 2014, it was rightly criticized for its confusing story, the game’s “grinding” nature, its lack of substantial rewards, and its overall lack of content. 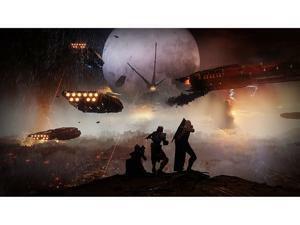 For all its faults, Destiny still had many bright spots. The game’s shooting mechanics were some of the best in an FPS at the time, the cooperative gameplay was top-notch, and the game looked gorgeous. After The Taken King expansion in 2015, Bungie righted Destiny’s ship by reworking the system, rewarding players for their work, and writing a great story with an excellent villain. 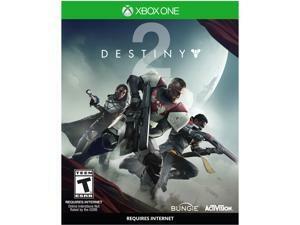 Unfortunately, those who stopped playing before the release of The Taken King missed out on how superb the game became and are a bit skeptical of Destiny 2. Let me just say that Destiny 2 takes what it learned from Destiny and then improves upon it, making it a game of the year contender. For starters, you don’t have to play Destiny to jump in and play Destiny 2. The game will catch you up on what you need to know if you never played the game before, and if you have played the game before, you get to reminisce on your accomplishments. There’s only one city left on Earth where humans and Guardians are trying to have some semblance of a normal existence after the events of Destiny. Of course, after dozens of space wars for three years, there are going to be some folks who aren’t going to let things go and let bygones be bygones. In this case, it’s Dominus Ghaul, the supreme leader and military commander of the Cabal, a race of aliens who were pretty much disrespected by not only the Guardians the last three years, but also the other alien races The Fallen, The Hive, The Vex, and The Taken. Like The Taken King, Destiny 2’s story is pretty straight forward – it’s good vs. evil. And while Ghaul’s goal is a bit more complicated than wanting to control or destroy the universe, it’s a digestible story that makes sense, is intriguing, and motivates the player to want to see it through to the end. In the Destiny universe, Guardians get their power and resurrection abilities from a sentient presence called The Traveler. The Traveler looks like a small moon and hovers over the Earth dispensing its “light” to Guardians to give them the power to protect humanity. Ghaul is pretty much a hater and doesn’t believe Guardians deserve The Traveler’s light or that humans deserve protecting. So he builds a contraption to attach to The Traveler, cutting off the light from the Guardians, and hoping to get the power of the Light for himself. 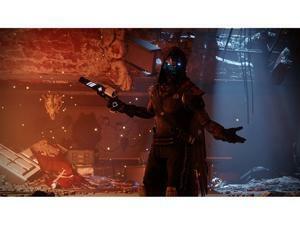 The story then follows you, the player, as you try to find a way to get your light back as well as fellow Guardians Zavala, Ikora, and Cayde-6. The stripping away these Guardians’ light is a great story device that shows each character’s vulnerability allowing us to get know them a bit better, making for an entertaining and fun adventure. In addition to seeing other sides of these characters you work with every time you play, we also get a multi-dimensional villain in Ghaul. Without giving too much away, let’s just say he isn’t as despotic as he seems to be. It’s a good, solid story that does its job of immersing the player into the universe without any “why am I doing this?” type of questions, which was an issue in Destiny. While story-wise your goal is to get your Light back, take down Ghaul, and restore order to the universe, the overall goal is to become the most powerful Guardian possible. You do this by creating your Guardian and leveling him or her up. When creating your character, there are three classes to choose from, Warlock, Titan, and Hunter. Each class has three subclasses, Void, Arc, and Solar, and each subclass has its own unique powers and abilities. For example, the Warlock’s Solar subclass, called Dawnblade, gives your character a super ability with a flaming sword that you can launch toward enemies dealing incredibly heavy damage. Titan’s Void subclass, called Sentinel, equips the character with a super ability giving him the ability to ram through enemies and throw a shield like Captain America. As you play through the game, starting with the campaign, you earn experience levels to level up your character, unlock abilities, and unlock other parts of the game, including other planets, the Crucible (PvP), Strikes (co-op standalone missions), and cooperative play. Your character has a level cap of 20, which by the end of all the campaign missions, you should reach. After you reach the character level cap, your attention is turned toward your Power level (was called Light level in Destiny), which is determined by the weapons and armor that you have equipped, and details your attack and defensive power. You raise your Power level by collecting weapons and armor. How do you collect weapons and armor? 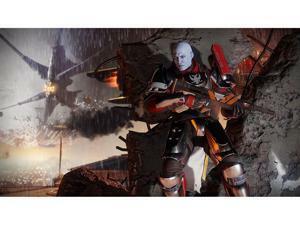 In first year Destiny, “the grind” to raise your Light level was one of its criticisms. In the game you would do the same activities over and over again just get the loot, hoping that the gear’s light level would be enough to boost your overall light level. The repetition of the activities for small rewards was enough to turn off many players. That system changed with The Taken King expansion with more activities and better rewards, and it’s improved upon even more with Destiny 2. There’s so much to do, and the Exotic weapons missions are a favorite. Each of the story missions in the game have a recommended Power level that sometimes you don’t reach doing the previous mission. To meet that Power level requirement, you’re gently pushed to do other activities on the planet you’re currently on. Public Events are huge battles that happen in the open world with other players and when completed, you’re awarded with a chest full of gear (you get even more valuable gear with Heroic Events). Lost Sectors are hidden underground caves, caverns, and tunnels that end with a cache of loot, but is protected by a boss who’s carrying the key to the chest (Learn how to find them here). There are also high-value targets roaming the planets where if you take them out, you’re awarded with loot. Then there’s Adventures, a mini-story or “side-mission,” where you learn more about what’s going on in the area, ending, of course, with more loot. In addition there are weekly challenges on each planet, like kill a certain amount of enemies in one area or loot a hidden chest in another area, which will also reward you with loot and experience every time you complete them. There are plenty of these activities on every planet where “the grind” doesn’t feel like a grind and the repetitiveness is kept to a minimum. If you need help understanding the leveling process, check this out. My favorite part of Destiny as a whole, is the cooperative play. In Destiny 2, cooperative play returns but is taken to another level with Clans. After you complete a certain amount of missions, cooperative play opens up where you and up to two other friends of yours can play any activity in the game. 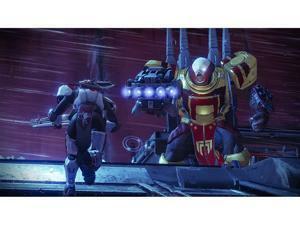 You can play with three other friends in The Crucible, and with five other friends for the raid. Some activities, like Nightfall and The Leviathan Raid require you to team up with friends, while Strike missions and The Crucible will matchmake you with other players if your friends aren’t online to form a full team. If you’re in the world doing Public Events, random players in the area will usually come help take down bosses. If you and your friends are part of clan, which you can create on the Bungie website for every platform, each activity you participate in contributes to your clan’s XP. Leveling up your clan gives you perks like getting additional currency from engrams and getting more rewards from Public Events. Just like Destiny, however, the best part of Destiny 2’s cooperative play is the endgame content, Nightfalls and Raids. These activities are basically the main reasons you’re leveling up as high you can so the moment you step foot into these activities you’re not hit with one-shot kills and your enemies aren’t bullet sponges. The first two weeks of the Nightfall featured intense high-level versions of two strikes that required you to finish in a certain amount of time and use specific energy weapons to damage enemies. If you’re not communicating with your teammates, it’ll be tough to complete. Speaking of communication, Destiny 2’s first raid, Leviathan, is impossible without it. Jumping in to the raid with five of your friends is a team effort and cannot be accomplished unless everyone is on the same page. This raid may be the most difficult so far with a focus on solving puzzles, more than shooting down an enemy. But even when you have a puzzle figured out, you still need everyone on your fireteam to play their part, be on time, and not die. DON’T DIE! It’s an exhilarating moment when everyone is finally in sync, all the bad guys are taken out, and the puzzle is solved and finished. Yes, we cheered after every puzzle was finished. If there was anything to nitpick about Destiny 2, it would be the changes to PvP. The Crucible is where players go head-to-head in Deathmatch, Zone Control, and Attack-n-Defend and other types of game modes. In Destiny, PvP was 6v6, in Destiny 2 it’s 4v4. I admit, I’m terrible in PvP, but in the 6v6 matches I still felt like I contributed to team wins by sneaking up behind guys while they’re engaged with a teammate, or easily flanking opposing team members. The chaos of 6v6 matches were a blast. With 4v4, the game is more strategic, the maps are smaller, and I’m not able to get away with the stuff I used to do. Yes, I know, “get good,” and I will, but 6v6 is a preference. In addition to gameplay changes, players are no longer able to choose the type of match they want to play. The Crucible is now setup between two playlists, Quickplay and Competitive. Selecting either will matchmake you in a random game mode. If you’re trash in Survival, oh well, that’s what you get. If you can’t stand Control, too bad. This causes players to drop out of match, and then it takes a long time for them to be replaced. In one Survival match, it was four of us against two players for an entire match because the other two players were never replaced. It was a slaughter. In another game of Clash, a friend and I were matchmade in a match that was decidedly over with a few minutes to go, we wondered how long these other two guys were trying to battle four players. Hopefully Bungie will improve the matchmaking for when people drop out of matches. The essence of Destiny is still intact with Destiny 2. The cooperative play, the awesome guns and powers, the amazing graphics, and the gameplay mechanics are still spectacular. The changes from the Destiny to Destiny 2 are mostly quality of life improvements and changes that’ll make your time with the game more worthwhile and rewarding. You can see when Public Events are taking place and spawn near them, bounties are now replaced with Challenges, and while in-game transactions still exist, you can earn those same items with Bright Engrams every time you level up. After the campaign, there are plenty of Adventures, plenty of Lost Sectors, plenty of Challenges, and replayable Public Events, Strikes, and PvP to keep you busy for quite a while. 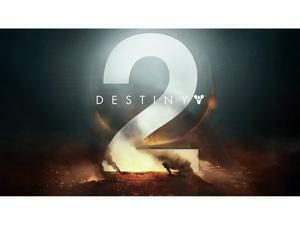 9.00 Destiny 2 is an overall improvement over the original with changes that make the game more rewarding and more respectful of your time, and offers gameplay that anyone can get into. Just like Destiny 1, Destiny 2 is gorgeous. Every planet is unique and colorful. The action on the screen sparks and pops. And the art and design of the guns, armor, and all the characters are exceptional. It’s a great looking game. Destiny 2 retains the super tight FPS game mechanics, which I can confidently say are the best in gaming right now. The leveling and reward system is better than the original Destiny, and there is so much stuff to do. 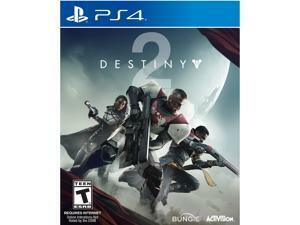 The story isn’t as impactful as something like The Last of Us or as in-depth as The Witcher 3, but it’s a solid improvement over the Destiny 1 that shows us different sides of familiar characters and clear cut goals. Cooperative play is still my favorite part of the game and with the addition of Clans make it better. The Crucible is still rock solid, even if we moved from 6v6 to 4v4. I just hope Bungie figures something for when players drop out of games early that they’re quickly replaced.